Many people need to protect their hands while they work and be able to manipulate smaller objects at the same time. A pair of casual gloves won’t guarantee maximum safety for your hands. This can usually be achieved only with the best tactical gloves since they can be used for several purposes, not just in the army. 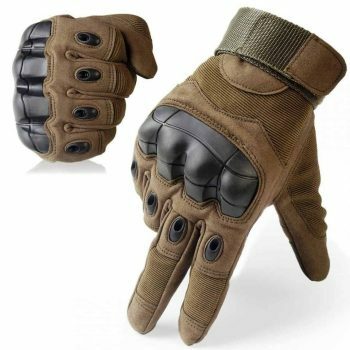 Tactical gloves are generally designed for military or law enforcement personnel, who need to shoot, maneuver bullets, or be able to feel various objects hidden in pockets. 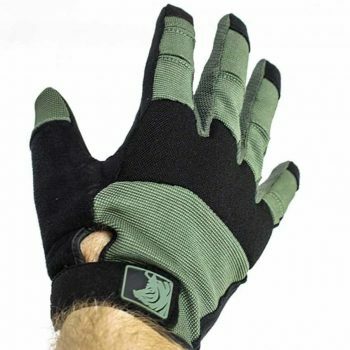 This type of product can also be used by those working with large and heavy objects, construction personnel and more, because of the protection they provide to their hands and palms. Don’t worry if you never saw such a glove, because you came to the right place, so prepare to get spoiled! In this article, we prepared both a brief guide to how to buy these gloves, as well as some suggestions for your next shopping trip. We tried not to overpraise them, so let’s have a look! Let’s see why is it important to pay attention to some of the characteristics tactical gloves have, before we take a look at some products. You probably already know that the material used to make any object has a great impact on its durability, breathability, usefulness, as well as its appearance, to name just a few. A good tactical glove is supposed to protect your hand while allowing you complete other tasks without having to remove the gloves. Make sure the gloves have some suede or rubber parts on the palm if a good grip is important for you. You probably will want to avoid plastic parts on the knuckles if combat is part of your regular activity, as it can shatter fast. Not all the materials allow you to use your touchscreen devices when the hand is in the glove. You might not even want a product that has this typical fabric on one of the fingers, like some of the available models have. Breathable gloves might have holes punched all over, or not be thick enough for your needs. A good tactical glove must have a good grip as well. The property is also called anti-skid. This is usually achieved by adding a different type of material to the palms of the gloves, and sometimes even on the fingers. Among the most popular such materials used on gloves, you’ll find suede, rubber and silicone trails or drops. Regular type of leather and most fabrics have a poor grip. Just like many other items, gloves also come in sizes. This is an important aspect to consider when shopping, if the product is not made of a knitted fabric. It will probably be near impossible to find tactical gloves using knitted fabric, as this fabric loses shape really fast. To find the correct size of gloves for you, you have to measure your palm at its widest part, all around. This is usually across the knuckles. It is generally recommended that you use the metric system to measure, as it gives a more precise result. For even better results, you should use a piece of string, wrap it around your palm once, mark it, and then see how long it is. Remember that not everyone has the same type of fingers. If you can measure your middle finger and find the item’s middle finger length as well, you can find an even better fitting glove. There are many reasons why you’d need to use your gadget with a touch screen while wearing gloves. However we all know that not all gloves have this feature. This is because of a special type of material that is used on the fingertips. Make sure to test the gloves before you pay, if you can, even if you don’t think you might need to check your phone when out and about with the gloves on. When buying online, you can read descriptions and comments from other folks who got the pair you’re interested in. If you plan to offer these gloves as a gift, the receiver might be more impressed if he can use his smartphone with a gloved hand in the cold. This feature is just something that makes the life of many people easier. As a general rule, breathable gloves are not insulated, and those that are insulated have a poor breathability. Breathable gloves are generally thinner as well, and may be only used for specific activities and only during the warm months. Gloves with insulation are better suited for winter months, as well as for activities that are performed outside. These products might be suitable for handling hot items as well. Many would think that having gender specific gloves is overrated. However men and women generally have a differently shaped hand and this is why it is important to sometimes pay attention to the gender the glove is made for. There are some men’s gloves that come in a wider range of sizes, and the smaller ones could fit women’s hands a well. While most gloves of this type are designed with men in mind, many women also buy them in sizes fitting their hands. A good tactical glove has to stay put on your hands no matter how many times you wear or wash your pair. Most tactical gloves use a Velcro closure which allows the wearer to set the glove as tight as they need it. Of course, the cheapest Velcro system can wear out in no time, but it might still last longer thn the next option. Depending on the type of activity you want to use the gloves for, you can also consider the ones that have elastic cuffs. These ones are more easy and faster to remove or put on, however the elastic can wear out fast, or not even be a good quality one. These might not be all the features that turn a regular glove in one suitable for a tactical mission. However, we hope there’s plenty of information to help you identify something to fit your needs. Remember that some other characteristics are a personal choice, or are dependable on other requirements. So now that you learned what to base your choice on when shopping, you’ll learn which are the most popular models of tactical gloves you can find on the market. Our presentation will talk both about the good and the bad of each pair, to help you get an even better idea to form an informed decision. Description: This Blackhawk Assault Glove delivers both comfort and protection. The glove is made of a synthetic material that does not retain moisture and is easy to dry after getting wet. The gloves offers a stable grip on slippery surfaces, and are designed with a wrist adjustment band for a perfect fit. 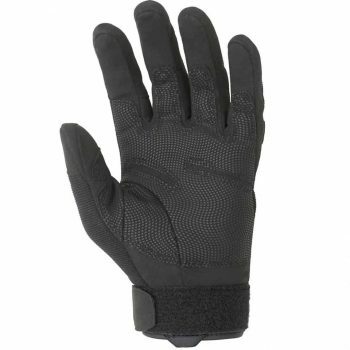 The a 1/2 finger design is ideal for tactical purposes, and this glove can be quickly attached to carabineers. Some customers suggest this item has a tight fit, so it is recommended to order a size up from what you usually wear. The soft padding allows for great cushioning during strenuous activities, so that your fingers stay protected. Overall, this pair of gloves s comfortable to wear and doesn’t give a bulky feel. The pair can be easily washed in the laundry machine along with similar items, and are also durable due to the double-stitching through the entire glove. Related: The Blackhawk Fury Commando Gloves offer full coverage to your fingers, and have an elastic band to ease the process of putting them on and removing them. They’re reinforced with leather, repel water, and can protect the hands from heated objects. Description: The JIUSY Tactical Gloves are anatomically designed to withstand hard shock and keep your hands protected no matter what you do. The gloves feature a palm reinforcement, which makes them impact resistant. These gloves are suitable to be worn during sports, but also military training. This glove is designed to be breathable and keep your hands dry under any weather conditions. The gloves offer a secure grip and do not slip even on wet surfaces. Furthermore, they are also comfortable to wear and soft. The gloves are quick to dry and are durable due to their high quality stitching and microfiber material. You don’t have to worry about these gloves not fitting well, as they feature an adjustable buckle which fits any wrist. They are true to size, and due to their thickness, best worn in tactical missions. These loves can feel quite heavy and do not provide a lightweight feeling. 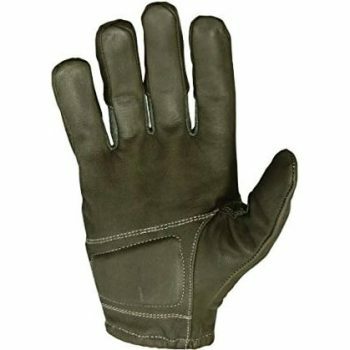 Related: The JIUSY Professional Tactical Gloves have a suede palm to improve the grip. The back of the fingers are reinforced as well for increased protection. What’s more the fingertips of 3 fingers on each glove are touchscreen compatible as well. 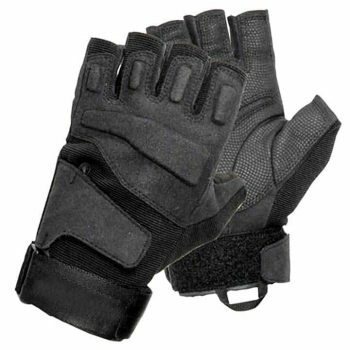 Description: The PIG Alpha Gloves could be what you need in your tactical missions. The gloves are designed with a trigger finger fabric that allows you to use your phone just like you usually do. The trigger finger is made of a lighter fabric for full sensitivity and no bulk. The gloves feature inside Forschettes that enhance wicking to the maximum, and the durable material will last for years to come without getting damaged. This item has a single layer palm which allows for a better and more stable grip. The fingers are made of a highly sensitive material that provides flexibility and lightweight features in the spots you need. These gloves are ideal to wear during extreme cold, as they keep your hands warm and protected from the elements. Additionally, they can be easily cleaned and dry fast for improved performance. The gloves feature adjustable buckles and are true to size. Related: Some folks need a full dexterity tactical glove, and the PIG Delta Utility Gloves could be just what they need. This pair is more comfortable thanks to the fold over construction on the fingertips, is compatible with any touchscreen device, and is super light. 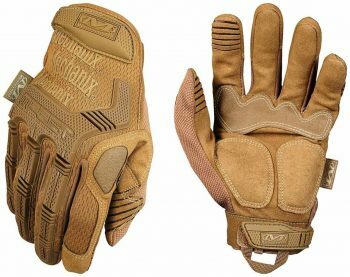 Description: If you need a new pair of tactical gloves, have a look at the Mechanix Wear M-Pact Coyote Gloves. These gloves feature a TPR knuckle guard along with finger guards that provide maximum protection against impact. The cushioned inside fabric dissipates any kind of shock for better protection. The gloves have adjustable buckles that suit any wrist and allow you the flexibility you need during tactical missions. This item is easily washed in the machine and dries off fast without getting damaged. The coyote tan protection has been used in the design of this item, and it provides enhanced protection for desert military operations. This material and shade hide the wearer and mix up with the environment, assuring a successful mission. The gloves feature the TrekDry system which keeps your hands cool and dry during heat or in wet environments. The gloves are also designed with a sensitive but fully protective rigger finger, for improved comfort. This product fits true to size and is made of high quality, durable materials. Related: The Mechanix Wear M-Pact Open Cuff Gloves offer the same type of protection but they’re easier to put on and take off thanks to their elastic cuffs. These ones are also better suited for heavy work in various types of workshops. 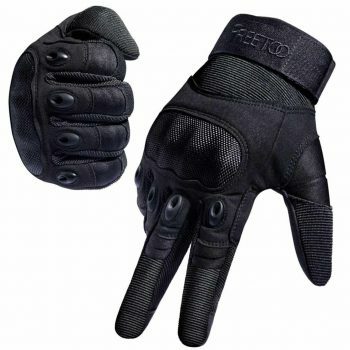 Description: Check out the Freetoo Tactical Gloves if you need a new pair of gloves for your missions. These gloves are made of a thick fabric that keeps your hands protected and safe during sports and strenuous activities. These gloves have an adjustable wrist strap that enables a tight feel and protects against slippage. Although thick they are not designed for winter weather, the gloves are breathable and do not allow any moisture reaching your hands. The materials used in their design provide an odor free function as well as dry feel, regardless of your environment. These gloves have a rugged build with a sensitive fingers that enables phone use but protect against impact. This item is machine washable and dries off quickly, which makes them convenient to use when you don’t have much time. The gloves come with a 3 month warranty and are perfect to wear while hiking, hunting or any other expedition. These fit true to size and are lightweight, thus not adding any bulk to your hands. Related: The Under Armour ColdGear Infrared Gloves are designed to keep your hands warm, suppress odors, and have silicone prints on the palms for an improved grip. On top of these features you can freely use your touchscreen device should you need to do so. Description: Check out the HWI HKTG 100 Tactical Gloves if you need a new item for your hunting trips. The gloves are made of 100% leather, and are fire resistant as well as waterproof. Additionally, the gloves feature a palm reinforcement for enhanced protection against impact. These gloves are thick enough to keep your hands protected during intense tactical missions. This item fits true to size and can cleaned in the machine. Quick to dry, the gloves are ideal to use when you are busy or in the field. Furthermore, you don’t need to worry about buying another pair as the material is durable enough to last for years. The gloves are wrist adjustable due to the knuckle, and provide a secure grip while in the field. They are not slippery, however they offer flexibility in the areas you need the most. The gloves have inside cushioning that keep your hands warm and comfortable. Related: If you prefer a pair of gloves that has a leather surface, the Ted and Jack The Enforcer 2.0 Gloves could be what you’re searching for. The palms are padded, the back has punched holes for breathability, and the knuckles are reinforced for added protection. They close with Velcro on the palm side. Description: Not all tactical gloves are the same, and the Seibertron Tactical Gloves are something you could consider. These gloves come in sizes, so you should probably measure your palm before you buy a pair. The gloves are made of synthetic leather that keeps your hands protected against any kind of impact. This item features a wrist buckle that adjusts to any size and provides a tight feel without being slippery. The gloves also feature a palm reinforcement that keep your hands comfortable. The cushioned found inside offers extra protection during tactical missions. The gloves are not thermal, however they are very breathable and light, hence not adding any bulk to your hand. Additionally, you can throw them in the washing machine and easily clean them. These gloves have a true to size fit and are made of high quality fabrics that will last for years to come. These gloves are not made for very cold temperatures, and will not offer the protection you need during winter. Related: Fingerless gloves are also not suitable for cold weather, and some folks prefer them in warmer weather. 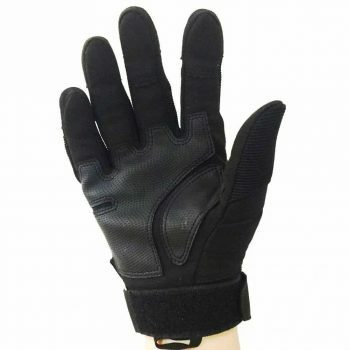 The item we suggest is the Accmor Tactical GlovesAccmor Tactical Gloves, that have an anti-skidding palm, protection for your knuckles and can be used in many outdoor situations. Description: Have a look at the Reebow Gear Tactical Gloves if you are looking for a new pair of gloves for your next adventure. These are made of a synthetic leather mixed with Lycra and polyester for enhanced resistance and protection. The gloves have a reinforced palm for increased protection against impact, and which offers a secure grip for the times you are on a bike. The gloves feature a wrist Velcro closure which is also adjustable and fits any wrist size. The gloves are flexible enough to keep your fingers comfortable and safe while shooting or hunting. If you are worried about comfort, you should know these gloves are breathable and feel light on your hands. Although they do not offer protection against the elements, the gloves will keep your hands dry in wet environments. The gloves are machine washable, quick to dry no matter where you are, and fit true to size. Related: The TitanOPS Gear Gloves offer a similar grade of protection, can be safely washed in the laundry machine, keep your hands warm while also allowing them to breathe. They’re a great alternative and good for many types of outdoor activities. It seems this is where we can say our review and guide comes to an end. At this point we hope your understanding of this type of gloves, and even of any other type of glove, is better than that of other people. You should be able to go buy a good pair and know that it won’t fail you. These gloves can be used for several other purposes as well, and you can be certain your hands will be protected at all times. So, what do you think of the tactical gloves we presented you with? Have you owned any of them, and if so were they what you expected? Did you find any other use for them, other than the ones we mentioned? Let us know with a comment below!